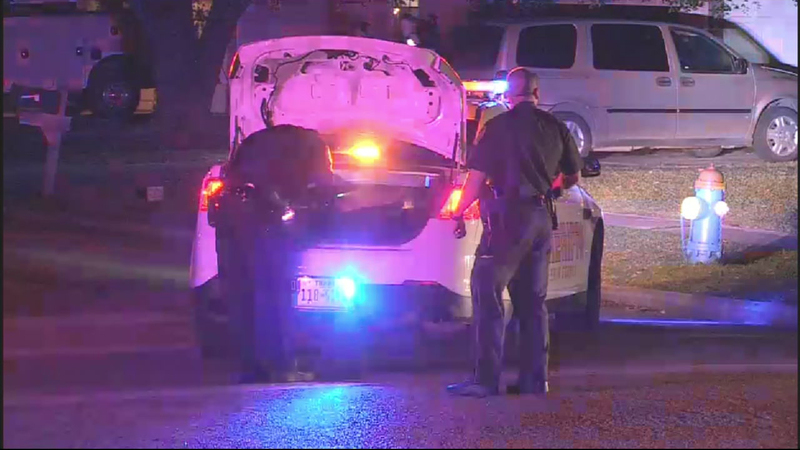 HOUSTON (KTRK) -- Harris County authorities are continuing to investigate an officer-involved shooting in northwest Harris County. According to authorities, it all started as an armed carjacking around Tamfield Drive. We've learned from HCSO a woman was the victim and was carjacked by three men. A deputy found the truck and the driver got out and ran away on foot. Another man got behind the wheel and took off, trying to get away from deputies. Authorities say a deputy following the truck into a cul-de-sace and the vehicle rammed the patrol car. At that point, authorities say the deputy fired, hitting the suspect in the hand. A second deputy also fired on the truck. That's when the truck drove down Silent Wood Lane, hitting several parked cars. Harris County authorities say the suspect fled and abandoned the truck after driving into the bayou. Officers have taken one person into custody, but they're still searching for another in the area around Spears Road and Veterans Memorial Parkway. No one was hurt, authorities say. A deputy was transported for "precautionary reasons," according to HCSO.